Good morning and welcome to Fresh Intelligence, our roundup of the stories, ideas, and memes you’ll be talking about today. In this edition, political chaos grips the U.K., Clinton joins a parade, and tech companies take on extremism. Here’s the rundown for Monday, June 27. Coup Attempt Rattles an Already-Shaken U.K. Turmoil continues to roil the U.K. following the country’s historic vote last week to leave the European Union. 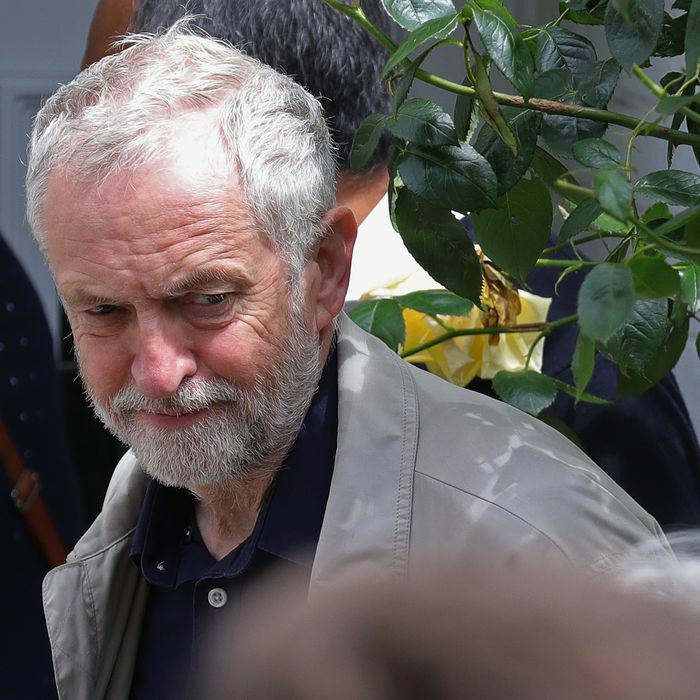 Both of Britain’s ruling parties have been thrown into confusion, with Conservatives scrambling to address the imminent resignation of Prime Minister David Cameron and an attempted coup against Labour leader Jeremy Corbyn that prompted the firing or resignation of 11 of his cabinet ministers. Meanwhile, Scottish First Minister Nicola Sturgeon threatened to leave the U.K. and join the E.U., or to block a separation from the E.U. altogether, saying that such a move would require the agreement of Scotland’s parliament. It’s unclear how the law would apply in that situation, which is true of pretty much everything related to Brexit. Polling Dispute: Is Clinton’s Lead Merely Considerable or Totally Bonkers? Two new polls out over the weekend agree that Clinton is opening up her lead over Donald Trump. A Wall Street Journal/NBC News poll found Trump trailing Clinton by five points. Not bad, but nothing close to the monster 12-point lead she was showing in yesterday’s Washington Post/ABC News survey, which has Clinton pulling down 51 percent of the vote to Trump’s 39 percent. Then again, it is July, so maybe we shouldn’t really care about polls too much. Elizabeth Spayd, who begins at the New York Times as the paper’s new public editor on July 5, spoke to Poynter over the weekend about her new post. Internal criticism is an integral part of the gig, and Spayd said that doing a good job is more important to her than bonding with co-workers. “I’m not there to make friends, I have a lot of friends, thank God,” she said. The Manhattan skyline all done up for Pride Week was especially lovely to behold this year. This moving speech from Jesse Williams at the BET Awards last night is the viral video of the moment. Kerry Heads to the U.K.— Does He Have Golf Courses There, Too?